Set in Los Angeles in the slight future, “Her” follows Theodore (Joaquin Phoenix), a complex, soulful man who makes his living writing touching, personal letters for other people. Heartbroken after the end of a long relationship, he becomes intrigued with a new, advanced operating system, which promises to be an intuitive and unique entity in its own right. Upon initiating it, he is delighted to meet “Samantha,” a bright, female voice (Scarlett Johansson) who is insightful, sensitive and surprisingly funny. As her needs and desires grow, in tandem with his own, their friendship deepens into an eventual love for each other. From the singular perspective of Oscar®-nominated filmmaker Spike Jonze comes “Her,” an original love story that explores the evolving nature—and the risks—of intimacy in the modern world. Exclusive giveaway! Enter to win HMM (movie passes) and thematic promotional film items on behalf of the film by answering the following thematic question: Watch the HER trailer and tell us the name of the operating system Theodore meets. 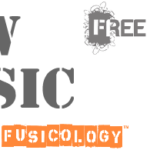 Email submit(at)fusicology.com with the answer to enter to win. o Hollywood Movie Money is a free admission voucher to see a predetermined film (HER) redeemable nation wide starting 01/09/14 through Thursday., 02/06/14 in any theater excluding AMC Theaters. 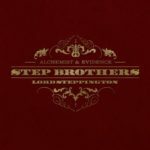 Previous Post Rhymesayers Entertainment Presents: Step Brothers “Go Hands On with Lord Steppington"